Hunting for the perfect gift or date idea can be difficult, especially when there are so many options to choose from in Adelaide. Research tells us that giving experiences makes for a much better gift than trinkets or toys; they’re much more emotionally evocative, and encourage closeness through a shared experience with a loved one. This Valentine’s Day, create a memorable day or evening to celebrate your affection. To help inspire you, we’ve put together a list of the top ten most romantic experiences in Adelaide. Great live music, a glass of your favourite beverage and a cosy setting; a recipe for a fantastic date night! There are lots of options in and around Adelaide, including outdoor entertainment – especially during Mad March with WOMAD, the Fringe Festival and Adelaide Festival. If you’re looking for something low key, there are plenty of pubs and bars in the city and in the suburbs that hold weekly or monthly live music session. Check out the Local Gig Guide for details on where to find your nearest venue. Adelaide’s laneway bars are bursting with inner city energy and delicious food, with some of the best local and international spirits, wines and beers. Settle into Udaberri on Leigh St for a glass of delicious Spanish wine and a selection of mouth-watering pintxos, head underground into Maybe Mae for a bright cocktail, or drop into Proof on Anster St for shoestring fries and a spicy glass of local shiraz. Jump in the car and take your partner on a surprise drive into the Adelaide Hills to one of the many local, award-winning wineries. In Hahndorf, you’ll find The Lane Vineyard, with beautiful views of surrounding vines and rolling hills. Mt Lofty Ranges Vineyard is a boutique winery nestled in the hills of Lenswood, with sweeping views of cherry farms, dams and grapevines. Howard Vineyard, just outside Nairne, is a family-owned winery set inside a rustic stone barn, surrounded by lush green lawns. 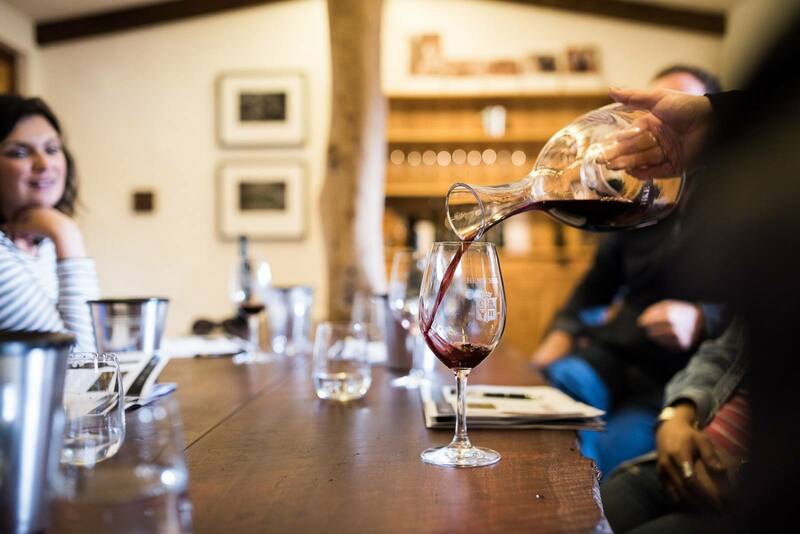 If you head to the Barossa, aim for the Henschke Cellar Door in Keyneton for a taste of their locally grown, single-vineyard wines from the Eden Valley, Barossa Valley and Adelaide Hills. If you’re after something active, head out on a hike in one of Adelaide’s many conservation parks or walking trails. Romantic, sweeping vistas of the Adelaide metro area can be seen from the top of Mt Osmond, Mt Lofty or the Sugarloaf lookout in Cleland Conservation Park. For dreamy seaside views, head to Hallet Cove and set out on the Marion Coastal Walking Trail. If you’re taking some furry friends with you, there are plenty of dog-friendly walking trails, including the Wirraparinga Trail Loop at Brownhill Creek. Check out the Walking SA website to find the perfect romantic hiking trail. For an old-school date in a beautiful setting, pack a picnic rug and some snacks and head into one of Adelaide’s three Botanic Gardens – Adelaide, Wittunga or Mount Lofty. Take a stroll through the gardens and admire the colours of the blooms in season, or just settle in under the shade of a tree and watch the world go by while you relax in the company of your loved one. 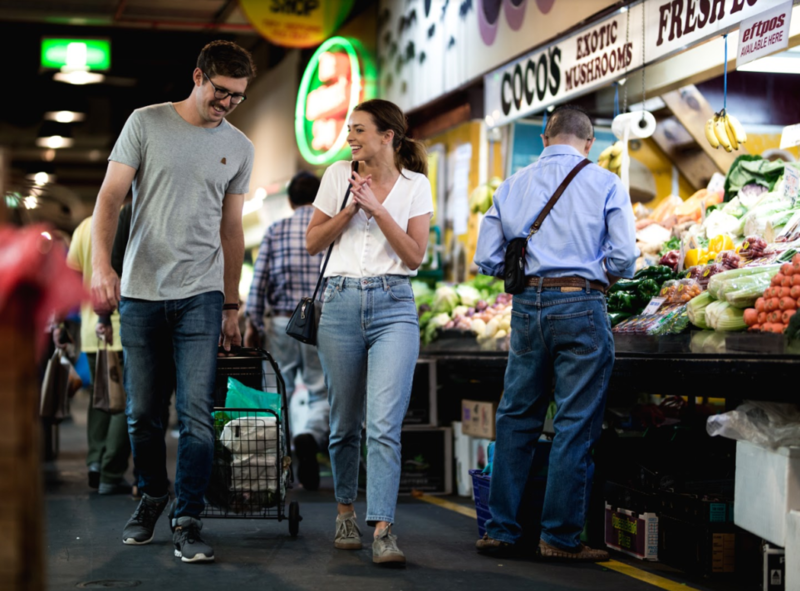 If you and your partner are food lovers, head into the Adelaide Central Market for a gastronomic adventure. The market has a huge range of fresh fruit, vegetables, baked goods, seafood, cheese, meat and health foods, and a number of cafes, restaurants and eateries. Watch a cooking demonstration from local and visiting chefs and cooks, try something new from the many international eateries and cafes, or pick up some fresh goodies to take home and cook up a storm in your own kitchen. Whether it’s a serious play, a fun and lively musical, or a modern opera, an evening at the theatre brings a sense of drama and occasion. Check out what’s on at the Adelaide Festival Centre and pick up some tickets for a live show. Each season brings a new calendar of travelling musicals, solo acts and local arthouse plays, with plenty of options to suit everyone’s tastes. Dress to impress, enjoy a pre-show dinner at one of the nearby restaurants and settle in for an enjoyable evening of entertainment. Whether you’re into swimming or just sitting back on an ocean cruise, Temptation Sailing is the only vessel in South Australia that is licenced to swim with dolphins – how’s that for something special! The wild dolphins of Adelaide’s coastline are very curious, and are known to interact with the boat and play with the swimmers – the perfect romantic experience for the ocean lover! Even if you’re not so keen on jumping in the water, you can rest on the boat and enjoy watching these beautiful ocean creatures from afar. A long, indulgent meal paired with delicious local wines is the perfect way to celebrate Valentine’s Day with your special someone. Penfolds’ Magill Estate Restaurant pair each of their many courses perfectly with Penfolds wines for a luxurious lunch or fine dining dinner. Restaurant Orana, in Adelaide’s East End, treats diners to 16 courses all inspired by and using local, native Australian ingredients including seafood, meat, succulents, honey and herbs. We couldn’t write a list about the most romantic experiences in Adelaide without mentioning the famous sunsets that flood Adelaide Oval with rich colour. If you and your partner love to get out and take on an adventure, an RoofClimb is the perfect challenge. All of our climbs are great chances to soak up the panoramic views, but a Twilight Climb is something extra special; it’s as if you’re climbing a stairway into the sky as the sun sets over the city. A limited number of climbs are available for February 14th, including one Day climb and two Twilight climbs. Book your spot now to avoid missing out! 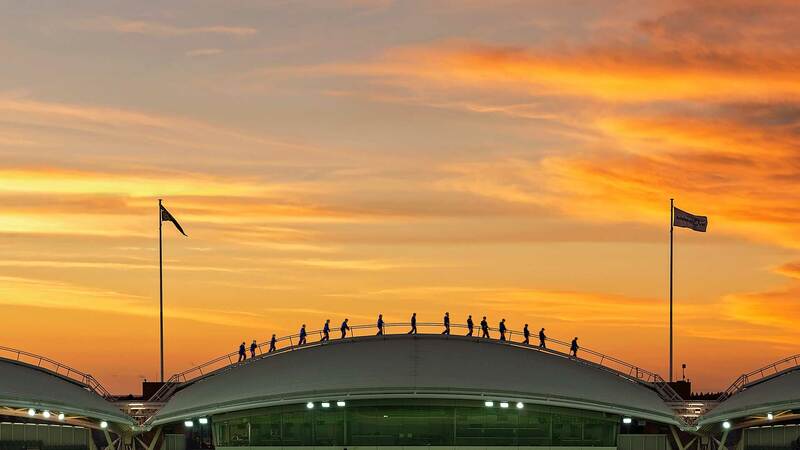 Grab a RoofClimb gift voucher and witness an iconic Adelaide sunset from the best seat in the house.